Brian Bennett joined Highlands Residential Mortgage in May 2013 as President of the organization. Brian provides daily leadership in all areas of the company with a keen focus on ensuring Production and Operations work closely together in delivering the ultimate home buying experience to our customers. Creating a family atmosphere with everyone working together towards the one common goal of creating customers for life, has been the cornerstone to Brian’s success throughout his career. He has spent his entire adult life in the mortgage business and brings over 25 years of experience to the Highlands management team. Beginning his career in Post Closing before moving on to the Servicing and Operations sides of the business, Brian quickly established a valuable foundation that eventually progressed to becoming a proven Production leader in the industry. Brian has served in such capacities as a top producing Loan Officer, producing Branch Manager, producing Regional Manager and Chief Lending Officer, managing sales nationally. 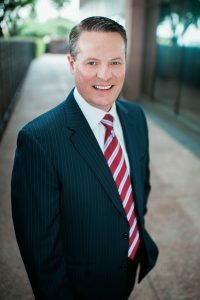 Brian also served as President of W.R. Starkey Mortgage and during his tenure, he took the lead in positioning the company to be one of the fastest growing privately owned mortgage companies in the country. Most recently, he served as EVP/National Production Manager at SWBC Mortgage Corporation where he led a growth initiative that expanded the company from originating in seven states in 2010 to sixteen states by early 2013. The results of these efforts also tripled production during this period. In January, 2015, Brian was recognized by Mortgage Executive Magazine as one of the 100 Most Influential Mortgage Executives in America. Brian’s professional can-do attitude, experience, and servant leadership mentality all have a major impact on the growth and success of Highlands.